Our brains are naturally very good at adapting and responding to our environments. That is, after all, how we’ve survived (in an evolutionary sense), but these built-in adaptive processes are still very apparent day-to-day. For me, these wonderfully adaptive processes are highlighted most amongst people who come into mental health services, many of whom have experienced challenging social environments. Sadly, we have inherited a cultural narrative that what these people are experiencing are signs of a ‘mental illness’ and we’ve come up with a collection of cold, detached (and sometimes outright shaming) terms to describe these, e.g. ‘schizophrenia’ and ‘antisocial personality disorder’ – to name just a couple of the near 300 or so listed in DSM-5. Changes are certainly underway in developing new narratives, but I wonder when we will truly begin to contemplate mental health through a different lens, and fully embrace the different choices of narrative? When will we consider that perhaps what we’re seeing are examples of people’s brains doing what brains are supposed to do? When will we consider that the brains of people in mental health services may not be ‘abnormal’ after all, but no different to anyone else’s brains? When will we contemplate that mental health ‘symptoms’ may not be signs of an underlying disease or illness, but rather signs that our brains are doing exactly what brains do best: i.e. adapting, responding, problem-solving, in order to function in challenging conditions? So where to next? Is the next era of mental health treatment going to involve some fancy modern technology? Digital techniques? Brain stimulation? Computer-generated avatars? Probably. That’s all quite exciting, eye-catching, headline-grabbing, and certainly very attractive to funders of research and innovation. This will no doubt serve the interests of those with careers in mental health, but will it actually serve the interests of those struggling with mental health themselves? I have an uncomfortable feeling that this could take us even further in the wrong direction; further from what’s helpful for people with ‘normal’ human brains. This concern was crystallised at a conference recently, where I was struck by how far removed some of the ‘hallucination’ research innovation was becoming from the actual lived (human) experience of people who hear voices and see visions. The most poignant moment for me was in a presentation on portable neurofeedback brain stimulation equipment (which, to the casual observer, is essentially a box, costing tens of thousands of pounds, that can be carried around by voice-hearers, with wires and electrodes attached). During this presentation, the mother of a voice-hearer stood up from the audience gushing with real hope, expressing that she can’t wait till this equipment is available so she can buy one for her voice-hearing son. Of course we can understand this mother’s genuine hopefulness and excitement that this ‘technology’ could be the answer to their / her son’s problems. But this made me sad, and I couldn’t help wondering whether this was all distracting and removing us from what’s actually important and helpful. My own hope for the next era of mental health treatment is nothing fancy or modern at all. Quite the opposite, in fact. No eye-catching technology. No headlines. No thousands of pounds. It’s far more likely to make research funding panels roll their eyes than jump out of their seats in cheque-writing excitement. My hope is for a new era of approaches that brings us back to basic human connection; back to the ‘simple’ stuff of human listening, caring, and compassion. Recall the opening point that human brains adapt to their environments and conditions. So in the same way that brains will adapt to conditions of threat by using protective strategies (like dissociating, for example), brains will also naturally adapt and respond to conditions of safeness, kindness and nurturing. You only have to look at babies to see that our newborn brains are built ready to be calmed in the face of caring, warm relationships and interactions. When babies are distressed and crying, their caregivers (intuitively) use closeness and empathic facial expressions, voice tones, touch etc to settle down the distress. That is how brains work. As humans, we are wired up to be very sensitive to social signals of threat and safeness. For instance, tuned into if an interaction signals, e.g., rejection or connection; stigma or acceptance; dismissal or validation. The consequence of a social experience that signals threat is that it becomes hard to think clearly and problem-solve. In ‘threat mode’, we may fear, block and resist our experiences and feelings, looking for ways to control or avoid them. However, when our social experiences create safeness, our minds are more able to access our intuitive wisdom and problem-solving capacities. The social safeness experience can provide a secure base and groundedness from which we can confidently start to open to, and explore, our experiences. The implication, as far as mental health approaches are concerned, might be that our job in services is not so much to develop fancy technologies and techniques to ‘fix’ a problem for someone, but rather to create the contexts and conditions (social, psychological, biological) that can facilitate their own natural, adaptive problem-solving processes. Hence the argument for focusing our attention on the ‘simple’ stuff of human connection, safeness and compassion. The problem is that this ‘simple’ stuff is not actually simple at all. Empathic listening is very difficult, especially when what you’re listening to is very distressing and painful to hear. It’s easier to tune out and not listen, to instead try and find ways of helping people from a distance, at arm’s reach. This way we can still feel like we’re helping, but without having to engage in the pain ourselves. And that’s exactly what seems to be happening in our current mental health system: the detached DSM labelling and narratives; the medications explicitly targeting suppression and shutting down (‘anti’-psychotic, ‘anti’-this, ‘anti’-that). The intent is to help, but it’s also avoidance at an institutional level. In the words of Will Hall, interviewed for the excellent Crazywise film, “the DSM is basically a sophisticated way of not listening to people”. Emphasising the role of human caring and relationships is in no way to diminish the role of science in mental health. I am very pro-science. I just think that our particular science in the mental health field has been leading us down the wrong path, mainly because it’s been based on a historical premise that we may now realise was not quite true: i.e. that there’s a brain abnormality that needs treating. We’ve constructed a ‘science of treatment’. Perhaps what’s needed for future progress is a ‘science of the mind/brain’, based on a premise of normality. As I said in my talk at the first Compassionate Mental Health Gathering in Cardiff in November 2016, I very much believe that science can, and will, be our friend and ally. We just have to set it off in the right direction. If we aligned our scientific quest to understanding mental health in terms of how ‘normal’ human brains operate and adapt in different conditions, it might not be too long before science ‘discovered’ that what our brains really need to help us function / recover / grow is connection and compassion. Basically, kind of what we’ve intuitively known all along. 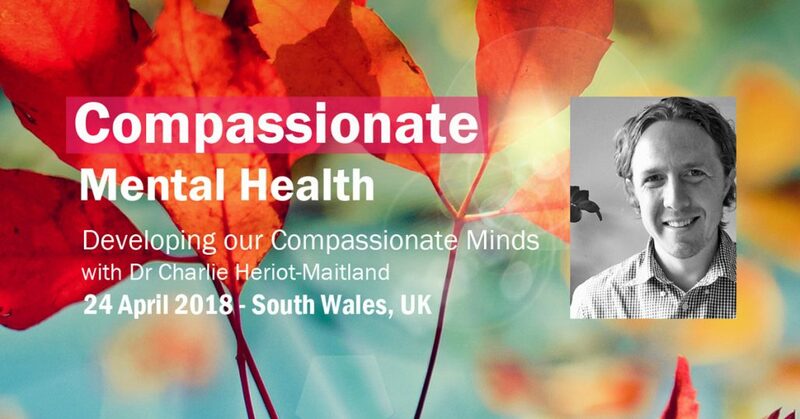 Book to join us at Buckland Hall on April 25th / 26th at Compassionate Mental Health – Beyond Trauma – Finding Solid Ground to explore ways to create a more compassionate approach.